Nell Bryden gets on RTE 1 and BBC 2 playlists! 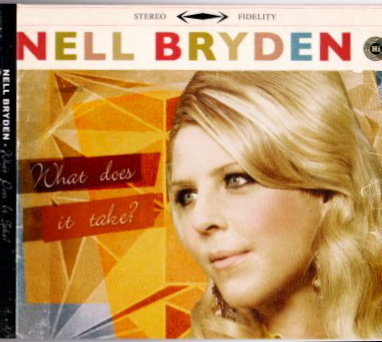 NELL BRYDEN -has what is takes- or so the summer release of her fabulous new album is proving! Distributed by RMG. Released by 157 Records NYC. NELL BRYDEN was recently added to Irelands biggest radio playlist RTE Radio 1, within a week following, she was became- THE ONLY INDEPENDENT ARTIST TO BE ADDED TO THE BBC2 PLAYLIST– alongside The Script, Paolo Nutini, Fleet Foxes, a-ha, James Taylor, Bruce Springsteen, The Eagles & Bat For Lashes. Bryden causing quite a stir in the press last year when she funded her career with a Milton Avery painting she found in her attic- which she brought to Sotheby’s to auction off for thousands of dollars! Instead of depositing her good fortune in the unruly stock market, she poured it into her music career-Circling the globe, building a passionate following for her Americana-Country-Soul hybrid sound. Four major International tours in the last 12 months (totaling almost 500 in just over 2 years, including a tour with KT Tunstall, The Counting Crows and impromptu sets with well known Irish acts-Damien Dempsey, Cathy Davey, MUNDY, Mick Flannery, DUKE SPECIAL & Declan O’Rourke), and Bryden is already tipped as being one to watch. Nell was also named Best Unsigned Artist of 2008 on Hits Daily Double. Her single “Second Time Around” earned her a Top 40 in the Official Irish Charts and received weekly radio plays across Ireland & The UK. (Including Terry Wogan’s Radio 2 show in the UK & RTE Radio1). It was “Song of The Week” on Today FM. And was then featured in one of Ireland’s most well known compilations CEOL (09) CD, featuring along side Glen Hansard, Duke Special, Mick Flannery and other well known Top Irish Acts. Nell was also interviewed on BBC Breakfast TV show (with other special guests such as Enrique Iglesias, GOK WAN and Daniel Craig) upon her return from IRAQ, where she entertained the troops and boosted morale. Nell was then invited onto Ireland’s biggest TV SHOW “The Late Late Show” with Pat Kenny alongside ENYA & Pete Doherty. She has had features in lifestyle and music magazines such as CHOICE magazine, Social & Personal Magazine, UNCUT, Q & WORD along with TV slots on BBC, RTE, TV3, Channel 6, Buzz TV & URMUZIC. Nell also recently went back to IRAQ for her 2nd tour, where the Award winning documentary maker SUSAN COHN ROCKEFELLER (of the Rockefeller dynasty in the USA) commissioned a team of filmmakers to go with Nell and make a documentary on the Tour. This is currently being edited with a view to be released in the fall. Her album WHAT DOES IT TAKE is produced by Grammy-winning producer- David Kershenbaum (Tracy Chapman, Tori Amos, Joe Jackson). David was so excited to be working with Nell and claimed “He hadn’t been this excited about an act since Tracy Chapman!” The Counting Crows guitarist Dave “IMMY” Immergluck- also plays on the album. With a bevy of industry tastemakers and major Irish, British and American labels at each show she plays, Nell is simply the most talked about and sought after new artist of 2009. Nell has built this buzz the old-fashioned way: word-of-mouth endorsements of her live show. She has been deemed as one of the British Isles and indeed Ireland’s next breaking act. What does it take- well lets just say, she has what it takes! And Mick Flannery Support in May, June & July around the country. The following ten tips come from mobile music marketing expert Raj Singh who joins three other experts at NARIP’s “Maximum Music Distribution: Physical, Digital & Mobile” program on Thu, June 4 in San Francisco. We will discuss how to combine the best of these three distribution methods for maximum coverage, sales and success. To get more details and register now for NARIP’s event, click here. Making your content available from your own site or your “new” mobile site is the most direct way to distribute. Previously, this was a painful process because of the massive browser fragmentation but since browsers have improved significantly, building a simple XHTML Web page and integrating some phone detection using WURFL (wurfl.sourceforge.net) or DotMobi is a much easier process. In addition, since most phones support MP3 and JPG, codec fragmentation is no longer a concern. And if you wanted to put it behind a payment, see Billing Revolution (www.billingrevolution.com), they offer a simple way to integrate carrier or credit card billing behind your mobile landing page. Numerous sites can distribute your mobile content. Most are free and they enable you to charge for your content, only taking a small revenue-share. Many of them offer widgets as well so users can embed a mobile content distribution widget into their own Myspace page etc. For ringtones or wallpapers, see Myxertones, SendMeMobile, ToneThis and Phonezoo. For games, see Greystripe and Hovr. Instead of distributing the content yourself, you can license it to others for promotion in their catalogs which typically already have massive placement in carrier and handset portals. There are numerous leading mobile content portals including Jamster, Thumbplay, Mobilstreams, Zingy and so forth. Playphone and a number of other inComm customers develop prepaid content cards that are sold in retail. Consumers purchase the branded prepaid content card in retail and then redeem the content by entering a URL into their phone and typing-in the redemption code located on the back of the card. These cards are often target consumers who do not have a credit card and thus cannot buy online or are prepaid mobile subscribers and thus cannot buy through the carrier billing system. BestBuy, Carphone Warehouse and others are beginning to offer storefronts in-store which are accessed through kiosks. Early data has shown that these kiosks have been extremely effective in selling digital mobile content via Bluetooth or cable. It’s almost unusual to find a higher-end phone today that doesn’t have some kind of phone memory slot, usually micro-SD. Sandisk, Kingston and others are now distributing mobile content from their phone memory. Again, since these are rather new initiatives, this is a great time to jump-in early. Like our phone memory buddies, SIM card manufacturers are now also including mobile content. See companies like Gemalto and SST. Probably one of the hardest paths if it’s purely music content but it’s not unusual to have content or content subscriptions distributed with a phone purchase. Nokia and SonyEricsson have sold a number of phones preloaded with content. Long business development cycle but huge wins if you can make it happen. Most app portals don’t distribute ringtones directly but many app portals contain apps developed by third parties that distribute mobile content. For example, the FunMobility or Moderati applications on Verizon are effectively portal apps. Find these apps, contact these folks and they offer yet another way to distribute your mobile content. How Elder Roche got his name. 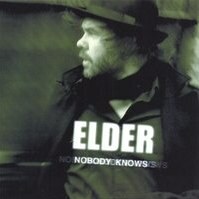 How Elder Got his name: Elder went on a weekend retreat a number of years back. While there, he was shown how to meditate, astral travel, and how to connect with his spirit animal by a powerful Shaman guide. (By the way his spirit animals are a bear, and a salmon. But he couldn’t get either name to work on stage). “Part of the workshop was designed to get us to connect with our natural surrounds, to appreciate and find our own comfort zone in nature. We were in a beautiful wooded area; I found a gnarly old tree, twisted and bare, except for its upper branches that were flowering, with small black berries. I loved its shape, and I sat there for hours underneath it in the shade”. It was at that time that the shaman approached Carl and instinctively bent down and put his hand on his head and he said “ELDER”. Carl, so affected by this experience, then went home and looked up everything he could about the tree, and fell in love with stories of Celtic Spirituality and Lore that surrounds it. Now, we now know him as Elder and in his performances we can really get a grasp of the old story telling styles of ancient folk lore characters. It is said that those born under the Elder sign are able to live and prosper under any conditions. The year ahead for ELDER ROCHE will see this talented songwriter receive the acclaim this album simply demands. ELDERS single DIAMOND is currently out NOW! on iTunes. And it’s brilliant. June 8th Phantom FM– on THE FRONT ROW- catch Nell perform her Chart Single Second Time Around @1pm! June 12th catch Nell On iRadio Breakfast show- with Paul Byrne at 8am! June 23rd on The Ian Dempsey Breakfast Show- on TODAY FM at 8am! 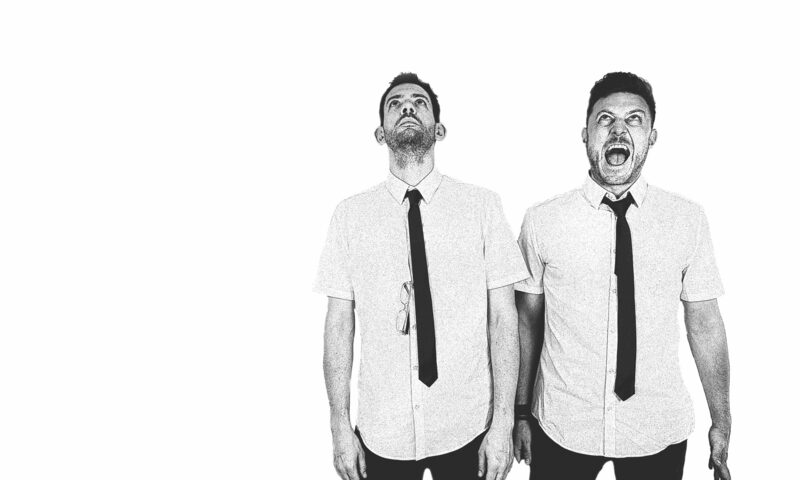 Catch Nell then at Whelan’s on June 30th. Nell Bryden returns to Ireland to celebrate the release of her most brilliant album What does it take- out on May 15th. She will be in various parts of the country watch out! This is one festival that guarantees to deliver. Dublin City Soul Festival in association with IMRO is proud to present the world’s brightest ‘Rising Stars’ for you to enjoy! Following an exhaustive global search for the world’s very best up and coming original artists ‘Dublin City Soul Festival’ have posted the Top 100 ‘Rising Stars’ entries to its website, www.dublincitysoulfestival.ie. The event, designed to showcase the wide range of talented unsigned artists on the Island of Ireland and beyond has attracted hundreds of entries from around the globe and has even received entries from many Countries including; Belize, Canada, Egypt, England, France, Ireland, Italy, Kenya, Mexico, Togo and the United States. Festival Founder & CEO, Chris Maher says: “We’ve been overwhelmed by the high standard of entries, in particular from the island of Ireland. 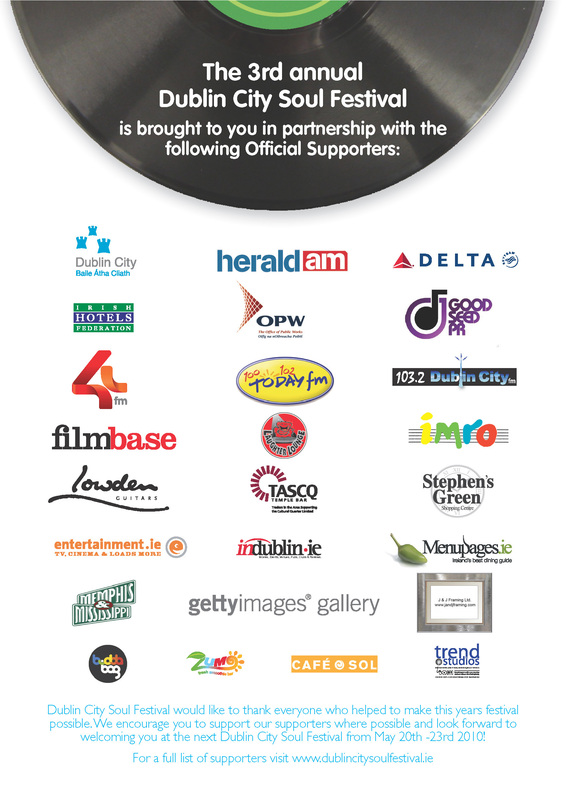 There are a huge amount of talented unsigned artists across Ireland and beyond and we feel privileged to be able to present them for the world to listen to and enjoy as part of the 3rd annual Dublin City Soul Festival”. The festival, which takes place from Thursday May 21st to Sunday May 24th will see the streets, bars & café’s of Dublin come alive with hundreds of real musicians over the course of the festival and promises to provide much needed reasons to be cheerful. Members of the public can now listen to the fantastic and varied selection of top quality entries from around the world and vote for their favourites. The top acts will then perform for free in the festival club (further details to be announced) and at a special showcase event in a secret location in the heart of Dublin City. Well now what good news we bring. May 30th Birr Theatre with Mick Flannery, Offaly. The Vibe was a soaring Success! Ah its all over for another year, but what fun was had! The lovely Nell Bryden shared the stage with Irish favourite Damien Dempsey for a rendition of Whiskey in the Jar. Which was just superb. And we have a little video of them below. The 23rd Vibe kicked off with a bang, The tribute act Renegade smashed into “Are you ready” the house was starting to fill to it’s peak with Thin Lizzy fans from every corner of the globe.. the 2009 Vibe was on it’s way, hat’s off to Smiley for this year, he out done him self as there was quite a few hard rock Lizzy Tributes on the night keeping the Thin Lizzy fans happy and the Vibe living up to it’s true cause, One act stole the night for me was Nell Bryden who came all the way from New York to play tribute to one of rock n rolls true legends, Nell started off with a fantastic version of “Massacre” as she broke the tune down to a slow moody blues tone and it went down a real treat, Nell featured later on with Damien Dempsey who ripped the roof off the house with a version of “Whiskey in the jar” as both artists never met before the show they made a great duo on stage on the night. at the end of the night Phillip’s mother Philomena gave a wonderful speech and requested a one minute of silence as it was well respected, The proceeds on the night were split down the middle as half went to “Aware” and the other half will be used in funding a museum to the late Phil Lynott (20 August 1949 – 4 January 1986).What a great night to tribute one of the best poet/singer songwriters that will never be forgotten. here’s to all you Thin Lizzy fans!! The 23rd Vibe for Philo – takes place at the Button Factory, Temple Bar throughout the 3-4th January 09. Tickets are currently on sale through Ticketmaster.ie and outlets nationwide. Limited edition picture tickets from Freebird Records , Sound Cellar & Mojo’s. It’s that time of year -so here we go again! After much deliberation, the organisers of this critically acclaimed event have finally decided that this year’s theme will be “Dancing in the Moonlight”. Virtually every major venue in Dublin has hosted the Vibe as it crosses the river Liffey from North to South and now The ’09 Vibe returns to the Button Factory from the 3rd to the 4th of January, with the Pre-Vibe, Main Event, and a repeat of the successful Matinee on the Sunday afternoon Being a weekend there will also be numerous side events, organized and impromptu, but more of that later. We realize how little precious time there is left, and with Crimbo and the New Year Celebrations in between, January will be here before you can say “Jack Frost”…Established acts such as Elvis Costello, Sinead O’Connor, and Adam Clayton were previous special guests and created enough optimism to convince everyone that this event is one that warrants much public appeal and signifies a most entertaining event for Lizzy fans old and new. So far we know that the Lizzy Boys (Japan) are “Ready to Rock” on all three shows with a different set on each occasion, Hoodoo Rhythm Devils, MD Brian Grace and numerous guests inc. – Matt & Phil (Tizz Lizzy), John Conlon (Thin az Lizzy), Derek Herbert (Les en Fants) Dave Mc Guinness (Lir) Colm Quirney (Q) Mark Adams, Paul Toal, Jimmy Coop, Ditch Cassidy, Robbie Bray & Ritchie Buckley and anybody else of interest and with a good idea that props up between now and the event! Finally with the present depressing global financial situation kicking inn , it’s sure going to be rough times ahead in the coming year . all the more reason why we should all let our hair down , turn on , turn out and turn up for the Happening Weekender that is “Dancing In the Moonlight” and Vibe 09…..